Arnold Schwarzenegger has stunned fans by revealing he would have entered the race for the White House this year (16) if he was eligible to become U.S. president. 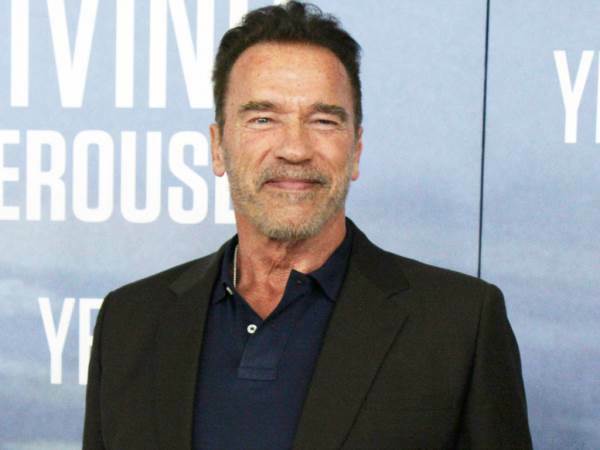 Arnold Schwarzenegger has stunned fans by revealing he would have entered the race for the White House this year if he was eligible to become U.S. president. The former two-term California Governor has turned his back on politics, but he tells the new issue of Adweek he would have challenged Donald Trump for the Republican vote if he could run. The fact that the 69-year-old action star was born in Austria ruled him out of the presidential election. It's not as if he didn't try to change the laws - he reportedly lobbied for support to change legislation that would have allowed him to run for president in 2016. Recalling his time in office in Sacramento, California from 2003 to 2011, Arnie admits it wasn't exactly as he'd imagined it would be. "I didn't love politics, but I love policy." Now he's just a Hollywood action man again, Schwarzenegger insists he won't be voting for his party's leader, Trump - even though he has taken over the property tycoon's role on hit reality TV show Celebrity Apprentice. He foresaw all the drama that has overshadowed the political race for the White House this year in an interview in June, 2015, telling E! News, "I'm not having any opinions about any candidates right now other than there's some good ones there and I think that people will weed out (the bad ones) as time goes on. "I think a lot of them will make a lot of noise and say outrageous things so they can be heard." Americans go to the polls to vote for a new leader early next month. Trump will face off against Democrat Hillary Clinton to replace current U.S. leader Barack Obama.